Kingsport Fitness & Wellness Society believes keeping fit and healthy should be affordable and fun. 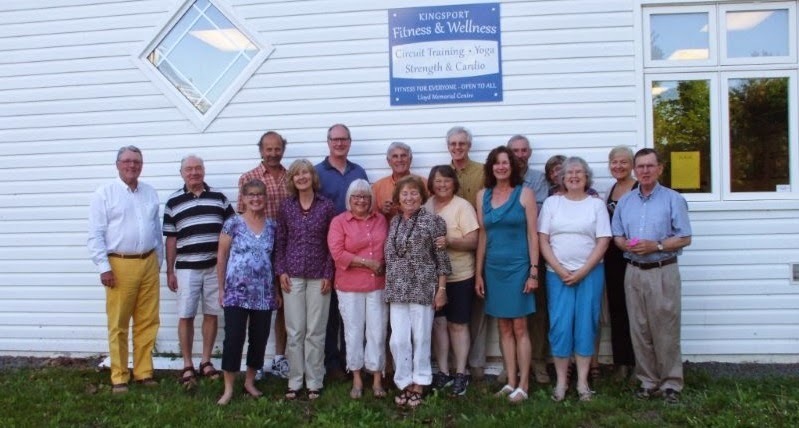 Our Not For Profit Society is dedicated to bringing programs to our local community that encourage people of all ages and fitness levels to participate in active healthy living. We are offering classes in the Lloyd Memorial Centre (corner of Pleasant and Main or Medford) in Kingsport 9:00 -10:00 am Mondays, Wednesdays and Fridays. These classes reflect the components of Canada’s Physical Activity Guide and include Strengthening/Resistance Training using our own body weight, hand held weights or bands; Cardio/Respiratory Training at a moderate to vigorous intensity; Balance and Flexibility. We always finish with some relaxing stretches. This is a community not a competitive programme and we encourage everyone to participate at their own level. $4 drop-in, $25 for eight classes, first class free! Depending on the weather, we are also offering Aquafit classes on Wednesdays at 5:45 pm prompt in Carl and Irene Burrell’s gorgeous warm pool. $5 drop-in. For more information please phone Melanie (902 300 6300) Christine (902 692 8277) or Irene (902 582 3013). Or visit our facebook page.